This Shirlee Tegge dress is seriously one of the best vintage reproduction dresses I have ever come across. The dress is named for the first winner of Miss USA, which Tatyana Boutique decided to replicate for us. Isn't that the dream? I mean, really! When you're looking through old historical footage or watching old movies and you see a dress you love, don't you wish it was available for you?? 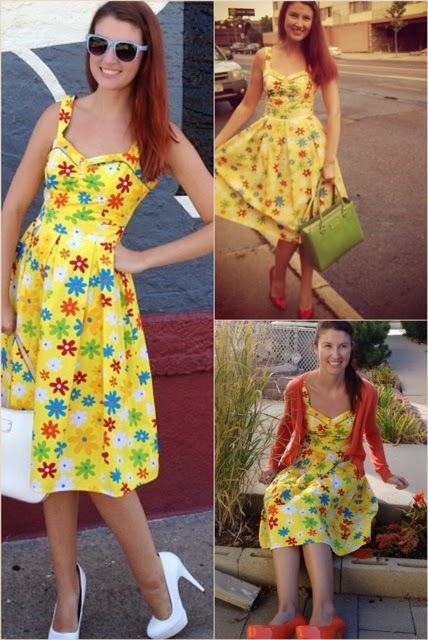 Thank-you Tatyana for at least making one vintage dress available to us! As you may remember I recently wore this dress to my (PA) birthday last month and couldn't have been happier to be wearing this number! The dress all steamed and ready to be worn! This Fanny Skirt in green (now available in red too) is somewhat a staple for most of us who idolize vintage clothing and add various repo pieces to our collection. I actually ordered it back in January but I got the wrong size. Modcloth was out of the size I needed so for the longest time I didn't have this. When Modcloth gave all costumers 20% off coupons for September, I finally broke down and got the correct size from them again. I'm super glad I did because it's a very thick fabric, making it high quality and perfect for the colder season that is about to descend upon us. Green is also one of my favorite colors so I'm very excited to have another green piece of clothing in my wardrobe! This is one of my favorite dresses because it's so freakin' 70s it's ridiculous. But I also love it because there's so many different colors in it, which means I can style it so many different ways with shoes, purses, and cardigans to play up the different colors in this dress. I love doing that in my everyday life, which is partly why I wanted to start a blog, but it also helps as a fashion blogger to have different looks to go with the same dress that you wear and post frequently so it's not redundant! I was surprised to get this skirt and found that unlike most circle skirts out there on the market this skirt isn't cotton! It's a lacy fabric and it's lined so it's very swishy and fun. The good: As I said in the opening, I find the quality to be amongst the highest tiers of vintage repo brands out there. The fit is also phenomenal as it's flattering and fun. The bad: Not much! The only thing I can think of is that Tatyana can be kind of expensive (the quality makes it worth it though). There are semi-frequent sales, but if the item you want is only on Tatyana Boutique and you find it on sale, shipping is more expensive than Modcloth (around $10). 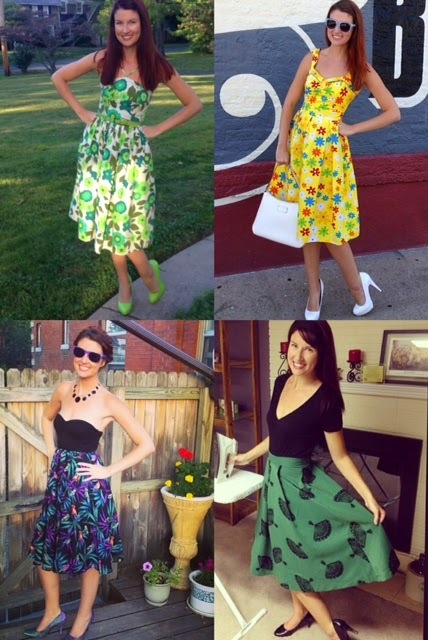 I got the bird skirt and the 70s dress on super clearance for $10 and $20 respectively, but paying a third of it for shipping felt defeating (which is silly because those deals were total steals-it's all about perspective, isn't it?). That all said, the quality is worth it and you can often find new and second hand items on eBay for various prices. Bottom line: I'm looking forward to continuing to get great pieces from Tatyana Boutique in the future and am happy this brand already has a home in my closet! My favorite one is the yellow with the colorful flowers but that's no surprise since yellow is my favorite color ;). 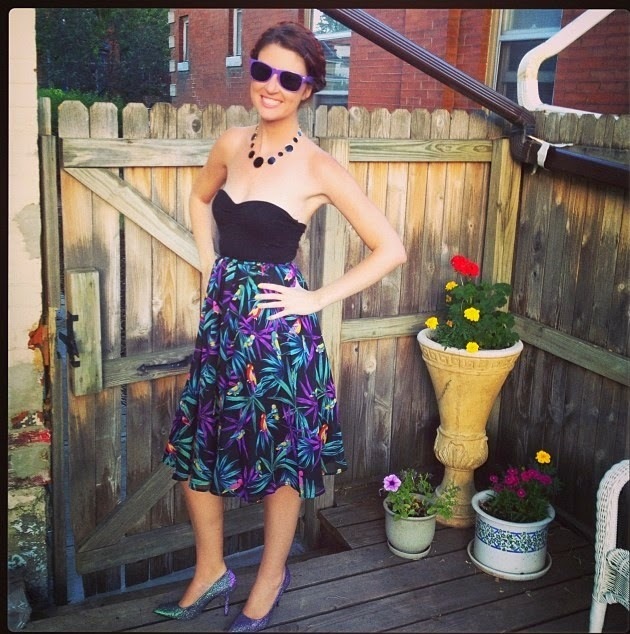 I don't own any Tatyana pieces but I'm hoping on changing that soon, especially after this post! You look beautiful in all of them <3. Oh my gosh I've also had the dilemma of what to call this brand - I bought most of my pieces from them back when they were called Bettie Page Clothing so I get confused as to what I should be calling the clothes! Regardless of the name, its such an amazing brand!! I just love the lime green floral dress on you, what an amazing print - the fabric looks as if its original 60s.